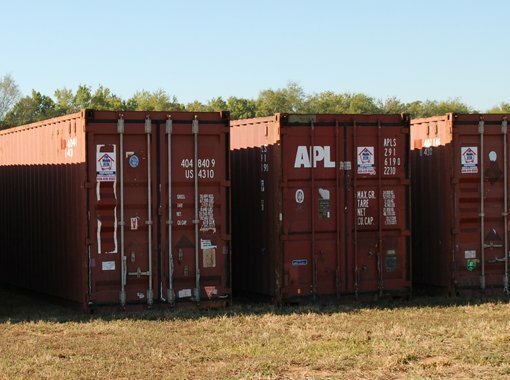 We have a large variety of 20’ and 40’ steel cargo containers for sale. We sell standard steel shipping containers with doors on one end and double door containers with doors on both ends. We also sell 40′ High Cube containers that are 9′ 6″ tall. Our inventory includes new and used steel cargo containers. Prices will vary based on the size and condition of the container. All steel containers for sale have good operating doors, a sound floor, and are dry. A price list will be automatically emailed to you. The Mobile Attic conex and cargo containers for sale are located at our yard on Highway 84 in Wicksburg, Alabama. The yard is about 12 miles west of Dothan. When traveling west on Highway 84 from Dothan the yard is on the left 1 mile past Highway 123. The price of each container is written on the inside of the right hand door. You can go at any time and look at the containers or contact us and we will send you pictures! We can deliver the container to you or you can pick it up at our 84 West location. We specialize in portable storage for residential and commercial use in Southeast Alabama, Northwest Florida, and Southwest Georgia. We deliver the storage container to your chosen location for you to pack the storage container at your leisure. We offer short term and long term storage solutions. We also sell and lease steel containers. 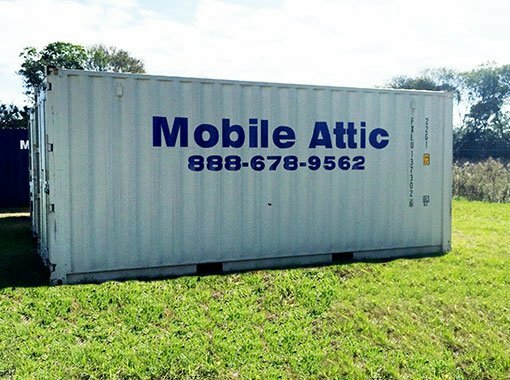 Mobile Attic is locally owned and operated and is committed to providing our customers with flexible, secure storage solutions. Our portable storage containers are considered the best in the industry! We are your source for reliable, affordable portable storage solutions.